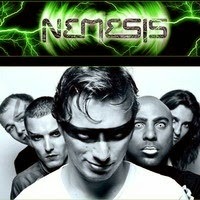 Nemesis are a dance act from the U.K, and their album The Nemesis Project is a hot-pot of dance crazy beats, whizzin' synthesizers sounds, heavily sound-effected strong bass and guitar performances, and topped with ice by the passionate singing style of Daniel Gardner. Top edgy songs 'n' tunes on the album are Wasted, Torn In Two, New World, Rise As One, and Nothing Left To Lose. The two remixes Fire In The Sky (Electro Remix) and Wasted (Dupstep Remix,) will have you dancing in the basement clubs across the globe!